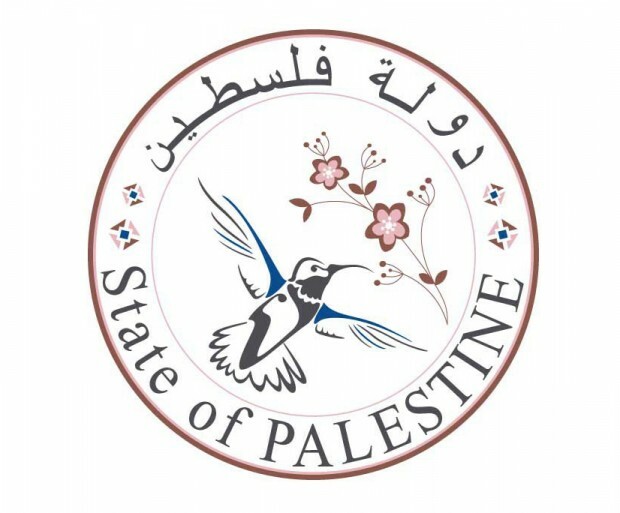 Description: The Holocaust Industry: Reflections on the Exploitation of Jewish Suffering is a book published in 2000 by Norman G. Finkelstein, that argues that the American Jewish establishment exploits the memory of the Nazi Holocaust for political and financial gain, as well as to further the interests of Israel. According to Finkelstein, this “Holocaust industry” has corrupted Jewish culture and the authentic memory of the Holocaust. Finkelstein’s parents were both Holocaust survivors who had been inmates of concentration camps. The book was a bestseller in Europe, the Middle East and the Americas, and has been translated into 16 languages. 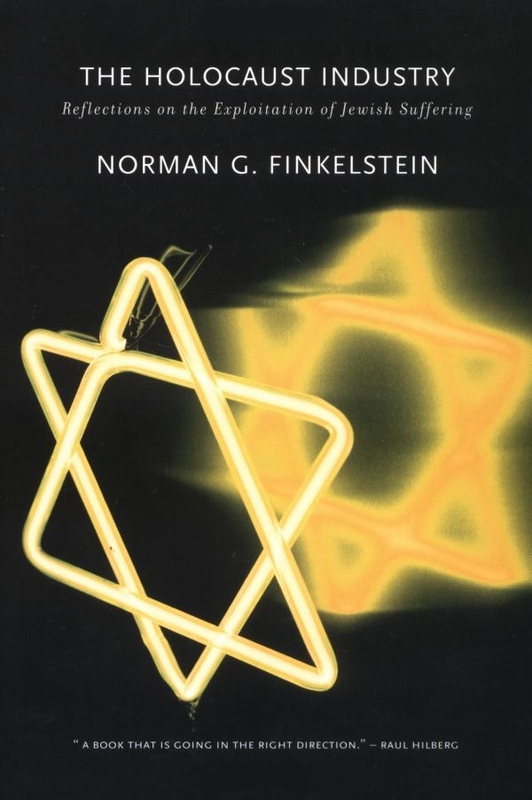 Description: In this long-awaited sequel to his international bestseller The Holocaust Industry, Norman G. Finkelstein moves from an iconoclastic interrogation of the new anti-Semitism to a meticulously researched exposé of the corruption of scholarship on the Israel-Palestine conflict. Bringing to bear the latest findings on the conflict and recasting the scholarly debate, Finkelstein points to a consensus among historians and human rights organizations on the factual record. Why, then, does so much controversy swirl around the conflict? 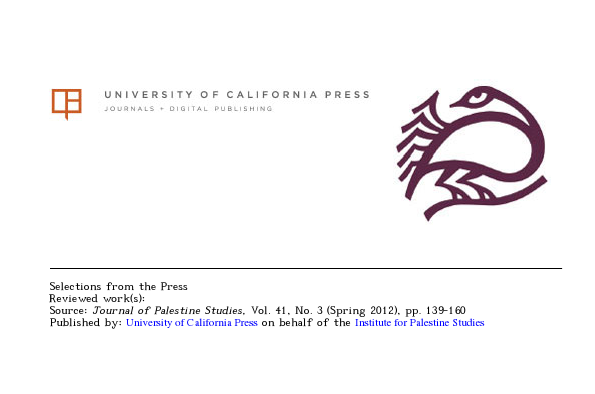 Finkelstein’s answer, copiously documented, is that apologists for Israel contrive controversy. Whenever Israel comes under international pressure, another media campaign alleging a global outbreak of anti-Semitism is mounted. 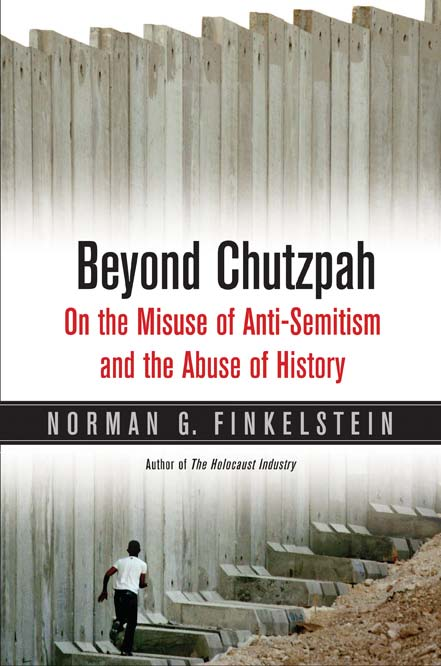 Finkelstein also scrutinizes the proliferation of distortion masquerading as history. Recalling Joan Peters’ book From Time Immemorial, published to great fanfare in 1984 but subsequently exposed as an academic hoax, he asks deeply troubling questions here about the periodic reappearance of spurious scholarship and the uncritical acclaim it receives. The most recent addition to this genre, Finkelstein argues, is Harvard Law Professor Alan Dershowitz’s bestseller, The Case for Israel. The core analysis of Beyond Chutzpah sets Dershowitz’s assertions on Israel’s human rights record against the findings of the mainstream human rights community. Sifting through thousands of pages of reports from organizations such as Amnesty International, B’Tselem, and Human Rights Watch, Finkelstein argues that Dershowitz has misrepresented the facts. Thoroughly researched and tightly argued, Beyond Chutzpah lifts the veil of controversy shrouding the Israel-Palestine conflict.